Mansoor made a passionate appeal to the Indian government to grant him a visa on humanitarian grounds and allow him to travel to India for a heart transplant. Mansoor Ahmed has been suffering from a heart condition since last three years. 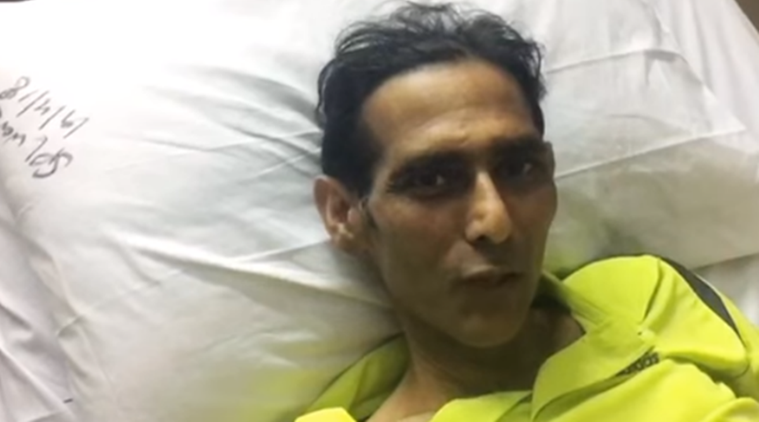 Former captain and Olympian hockey goalkeeper Mansoor Ahmed’s heart ailment can be treated in Pakistan and there is no need for him to travel to India for a heart transplant, the authorities in Karachi have informed him. Two days back, Mansoor made a passionate appeal to the Indian government to grant him a visa on humanitarian grounds and allow him to travel to India for a heart transplant. Many in the sporting community and on the social media were surprised by the appeal made by the celebrated goalkeeper who has been suffering from a heart condition since last three years. Many felt that Pakistan had some of the best heart surgeons and it was unwise of Mansoor to ask the Indian government to issue him a visa to go to India at a time when relations between the two countries was at its lowest ebb. Surgeon Pervez Chaudhary, a senior professor at the National Institute of Cardiovascular Diseases in Karachi, made it clear that all facilities were available in the institute to treat Mansoor. “He has been shifted to the NCI and we will soon operate on him and insert a left ventricular assist device (LVAD) which is a mechanical pump that is implanted inside a person’s chest to help a weakened heart pump blood. We will also carry out the necessary repair so that he can lead a normal life,” the surgeon said. Mansoor, who became a household name in 1994 after heroic saves in penalty stroke shootouts against Germany and Holland in the Champions Trophy and World Cup, has also been assured by Pakistan’s former cricket captain Shahid Afridi, who now runs a foundation, that all his medical expenses will be taken care of.